Wish to capture best moments of your life in a hassle-free, seamless way? Panasonic has heard you with a wearable, ultra-compact, lightweight and tough camera that will help you add a whole new dimension to your love for photography. 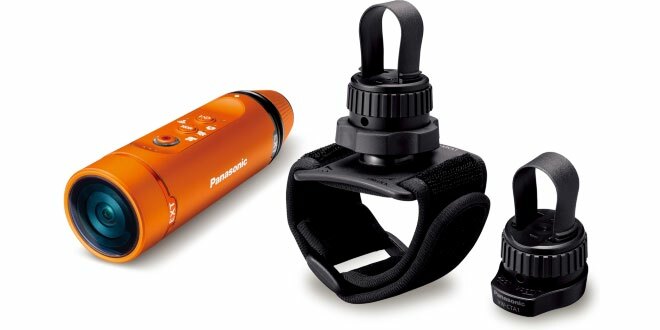 Launched for the Indian market in the capital on Wednesday, the rugged wearable camera called HX-A1 from Panasonic India offers a revolution in capturing night scenes you have never seen before. Weighing approximately 45 grams and making shooting hands-free recording for longer periods in full HD, the Wi-Fi enabled camera is waterproof to the depth of 1.5 metre (almost 5 feet), shockproof to the height of 1.5 metre, dust-proof and even freeze-proof down to minus 10 degree Celsius. “Panasonic India has made a sustained effort to grow in the market by offering our innovative and technologically advanced products to cater to the ever evolving customer needs in the camera segment,” said Gaurav Ghavri, product head (Panasonic India) in a statement. “The introduction of HX-A1 wearable camera defines Panasonic’s unrelenting pursuit of providing unmatched experience creating excitement in the action camera market,” he added. The user can enjoy more shooting options with a variety of accessories like twin mount, extended battery, strap adaptor, wind jammer, clip mount and suction clip mount. The HX-A1 has a “0 Lux Night Mode” for recording no-light japes. The camera includes an IR filter (night mode) and can be used with an infrared light source to catch that pesky red-eyed tree frog. There is a 1/3-inch effective 2.87-megapixel MOS sensor which is paired with a 2.6-mm F2.8 lens to give a view of around 19-mm equivalent.